Do you love mushrooms? Do you love shiitake mushrooms? Have you ever wanted to grow them at home? Here are some links about how to inoculate your own mushroom logs! You can also watch this video of Steve Gabriel of Wellspring Forest Farm showing us how to inoculate mushroom logs! 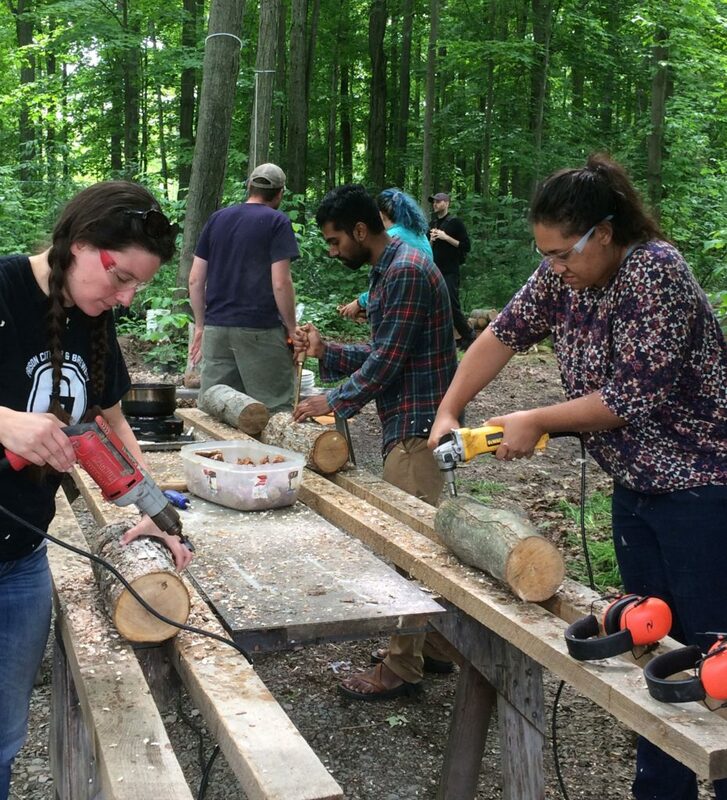 Or best of all – inoculate your own mushroom log in-person with Groundswell Center at NY Maple Festival at Wellspring Forest Farm (near Trumansburg) on March 23rd and inoculate your own log to take home for a suggested donation of $10! Check out the event on the website or facebook for more information.